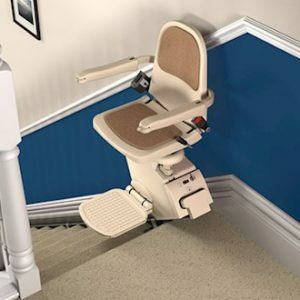 At Norfolk Stairlifts we want to provide you with the most suitable stairlift for your requirements. As part of this service, reconditioned stairlifts are also available for you to purchase. Starting from £799. 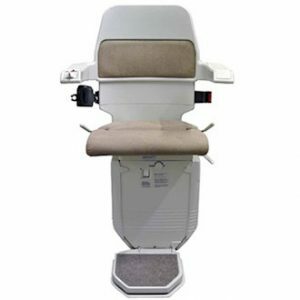 Norfolk Stairlifts stock a range of reconditioned stairlifts however the make and model of reconditioned stairlifts, both straight and curved, will vary. Reconditioned stairlifts are the ideal choice for you if your budget is the most important aspect of your decision. You can save up to £400 compared to a new straight stairlift and up to £1000 compared to a new curved stairlift. Prices are for a base model. For more information or to talk to an advisor please call 01953 850 004 or REQUEST A SURVEY. Norfolk Stairlifts provides reconditioned curved stairlifts by combining a bespoke rail custom made by our partners at ‘Platinum Rails’ with a reconditioned Stannah 260 carriage. For details on our current stock of reconditioned straight stairlifts please call 01953 850004.